Today at Next ‘18, we were especially excited to celebrate the developers who build on Google Cloud. We got a peek at some developer tricks on stage today, plus some fun demos—one of which built a natural language-enabled weather web app in just 15 minutes. 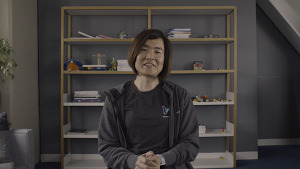 We’re looking forward to continuing to grow our developer community and bringing you the information and tools you need to build what’s next. We provided a deeper look at Cloud Build, our fully managed continuous integration and continuous delivery (CI/CD) platform that lets you build and test applications in the cloud—at scale. We’re integrating Cloud Build with GitHub, making it easy to add CI processes on top of your GitHub code repository. Next ‘18 is three days packed full of talks, bootcamps and breakout sessions (more than 500 in total!). We thought we’d give you a look at what it’s like to be here on the ground at Moscone Center. “Kubernetes Engine had exactly the API that we needed. […] Give me a cluster. Here are my compute and memory requirements. Go. Kubernetes Engine gives me a cluster. Now I need a place to store my customer’s data and keep it backed up. Cloud Storage is right there. Now I need isolation so I can manage and bill each of our customers separately. We use GCP’s projects within our Google Cloud organization to keep our customers’ resources isolated. [As a result] a single team of three developers built and shipped an all-new npm Enterprise, and it’s serving customers now.” —CJ Silverio, CTO, npm Inc. Thanks to all who attended Next ‘18, and to everyone who joined us online through our blogs and live stream. We hope to see you in 2019! Whether it’s 20th Century Fox creating machine learning models in 30 seconds or GO-JEK generating 4 terabytes of events data each day as they zip around Jakarta, our customers are doing amazing things (including arriving on stage on a scooter!). Today’s announcements and updates are bringing you lots of new features so you can build and expand how you use the cloud. Google Cloud Platform (GCP) makes it easier to build applications your way with expanded database options and features that bring flexibility and performance. And you can now run more types of workloads than ever on GCP, thanks to new partnerships and integrations. We’ve partnered with managed service providers (MSPs) so you can now run Oracle workloads on GCP using dedicated hardware. Our Intel and SAP collaboration means you’ll be able to run SAP HANA workloads on Compute Engine VMs powered by Intel Optane DC Persistent Memory for more capacity at lower cost. We’ll soon expand the availability of the Cloud Firestore beta to more users by bringing the UI to the GCP console, letting you store, sync and query data for cloud-native apps. Plus, Cloud Firestore will soon support Datastore Mode, bringing better app performance and strong consistency. Regional replication across zones is now available for Cloud Bigtable, our massively scalable NoSQL database. Also available is the beta version of Key Visualizer for Cloud Bigtable, which helps debug performance issues by mapping key access patterns. Compute Engine now uses a resource-based pricing model, so your costs will be based on how many resources you consume over a given time period, giving customers more savings and a simpler bill. We’re helping our users train their machine learning models faster, in multiple locations (on-prem, and multi-cloud with Kubeflow), and with more libraries (XGBoost and scikit-learn on Cloud ML Engine). We’re also extending classification to IoT and gateway devices at the edge. Cloud TPU Pods and TPU v3 are now available in alpha, allowing you to train models faster on Cloud ML Engine. We now support both training and online prediction through scikit-learn and XGBoost in Cloud ML Engine. Kubeflow v0.2 makes it easier to use machine learning software stacks on Kubernetes. Our partnership with Iron Mountain helps enterprises extract hard-to-find information from inside their stored documents. Cloud IoT Edge extends Google Cloud’s powerful AI capability to gateways and connected devices. We know that enterprises want to move to cloud-first collaboration, but, understandably, they have questions about how to make it happen in a business of their size. What happens with email security? How can they manage their data? How does G Suite work with the tools and systems they already have in place? These new additions in G Suite are specially built to help address these common concerns. Features in the new Gmail, like redesigned security warnings, snooze and offline access, are now generally available to G Suite users to help them collaborate more securely and efficiently. New functionality in Cloud Search to help companies intelligently and securely index third-party data beyond G Suite (whether the data is stored in the cloud or on-premises). This functionality is being deployed to an initial set of customers. Google Voice to G Suite—an enterprise version of Google Voice—is available in an Early Adopter Program today. It lets admins manage users, provision and port phone numbers, access detailed reports and more. A new, standalone Drive Enterprise with usage-based pricing is generally available today to help companies easily transition data from legacy enterprise content management (ECM) systems. 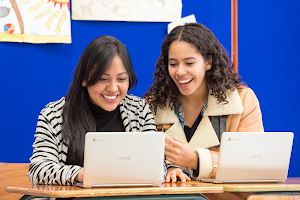 G Suite Enterprise for Education is expanding to 16 new countries. Data growth in the enterprise is staggering, and as businesses generate more data each year, they need advanced tools to store, manage, analyze, and generally make sense of it all. Today, we announced a number of enhancements to our data analytics offerings aimed at helping businesses uncover important insights from their data. BigQuery ML is a new capability that allows data analysts and data scientists to easily build machine learning models directly from BigQuery with simple SQL commands, making machine learning more accessible to all. BigQuery ML is now available in beta. BigQuery Clustering enables you to group rows by common keys for faster query speeds. BigQuery GIS is now available in public alpha to let you handle geographic data types. A Sheets data connector for BigQuery is now available in beta, letting you access your BigQuery data warehouse straight from Sheets. Data Studio Explorer, now in beta, supports templates and a one-click visualization tool. Cloud Composer, a managed Apache Airflow service, is now generally available to help you orchestrate your multi-cloud deployment strategy. Customer Managed Encryption Keys for Dataproc (generally available for BigQuery, and in beta for Compute Engine and Cloud Storage) gives you granular control over provisioning and revoking identity-aware authentication keys to your teams and users. We announced streaming analytics updates, including Dataflow Streaming Engine in beta and Python support in general availability. Dataflow Shuffle is now generally available to help customers run bigger and faster batch jobs. Dataproc Autoscaling, in alpha, gives users Hadoop and Spark clusters that scale automatically, and Dataproc Custom Packages, also in alpha, allows customers to deploy a selection of top-level Apache components quickly through a checkbox-like selection experience within Dataproc. Having trust in your cloud provider is multi-faceted—the result of our operating philosophy, the policies we enact and the tools we provide. Today, we announced a variety of security tools and capabilities, so you can trust the integrity of your data, your users, and your operating environment. Context-aware access lets you control access based on user’s identity, location, and the context of their request. To help protect high-value users like admins, we created the Titan Security Key, a FIDO security key with firmware developed by Google to verify its integrity. Shielded VMs help you ensure that your virtual machines have not been tampered with or compromised. Enforce signature validation when deploying container images with Binary Authorization. Container Registry Vulnerability Scanning helps prevent images from being deployed that contain vulnerabilities. Geo-based access control in Cloud Armor, our DDoS and application defense service, lets you control access to your services based on the location of the client trying to connect to your application. Cloud HSM is a fully managed service so you can protect your most sensitive workloads without needing to manage a hardware security module (HSM) cluster. Access Transparency, now generally available, provides an audit trail of actions taken by Google Support and Engineering when they interact with your data and system configurations on Google Cloud. Check back here for more news tomorrow! What a way to kick off Next ‘18. We started by welcoming our community of leaders, developers, and entrepreneurs to Moscone Center in San Francisco. As Diane Greene mentioned in her keynote, it was Google’s biggest event ever, with more than 25,000 registrants. We learned how the cloud is reimagining work, rethinking the contact center, and redefining what’s possible for many of our customers. (Plus, there was a surprise visit from Sundar.) Read on for the highlights. Cloud computing is so much more than outsourced infrastructure—it promises agility, reliability and scale. We want to deliver on that promise, so today, we announced Cloud Services Platform, a set of foundational services and technologies that deliver advanced operational and management capabilities to your IT environment, in the cloud and on-premise. Read more in our Cloud Services Platform and serverless announcements. We’re introducing a service mesh based on the open-source Istio, which will soon move to version 1.0, and Managed Istio, a fully managed version thereof, running in GCP. Also, Apigee API Management for Istio lets enterprises operationalize microservices created by the Istio service mesh with their existing API management tools. For Istio and App Engine workloads, the new Stackdriver Service Monitoring provides an SRE-inspired, service-oriented view of your workloads, showing you how your end users experience your systems. We’re furthering hybrid computing with GKE On-Prem, a Google-configured version of Kubernetes that includes multi-cluster management, that you can deploy on-premise or in other clouds. GKE Policy Management establishes a single source of truth for the policies that govern your Kubernetes workloads, across any enrolled cluster. We want you to build all your applications serverlessly, even if you use Kubernetes. To help you do that, we will offer the new GKE serverless add-on. Then, we’re releasing that same serverless framework as open-source under the name Knative. Speaking of serverless, we’re adding support for Python 3.7 and PHP 7.2 runtimes on App Engine standard environment. Cloud Functions is now generally available, with support for additional languages, plus performance, networking and security features. Serverless containers on Cloud Functions allow you to run container-based workloads in a fully managed environment and still only pay for what you use. Cloud Firestore lets you store and sync your app data at global scale, with access within the GCP Console coming soon. Finally, Cloud Build is our new continuous integration/continuous delivery (CI/CD) service that’s integrated with popular developer tools and that lets you build serverless applications. Empowering businesses and developers to do more with AI means providing them with tools that make it possible to take advantage of machine learning, regardless of skill level or expertise. Read more in our AI and Contact Center blog posts. Cloud AutoML Vision, Natural Language, and Translation extend powerful ML models to suit specific needs, without requiring any specialized knowledge in machine learning or coding. TPU V3s, our custom ASIC chips designed for machine learning workloads, are in alpha. New enhancements to Dialogflow Enterprise Edition enable you to design smarter and more conversational interfaces. A new solution, Contact Center AI, which includes new Dialogflow features alongside other tools to assist live agents and perform analytics. In order to stay competitive, companies are reimagining how their global teams work together using cloud-native collaboration in G Suite that’s smart, simple and secure. Proactively protect against security threats, manage where company data is stored and shared and communicate more effectively with these new, assistive capabilities in G Suite. Read more in this post from G Suite. We’ll be updating this post all week as it happens at Next ‘18. Check back here tomorrow for the latest news from the event.